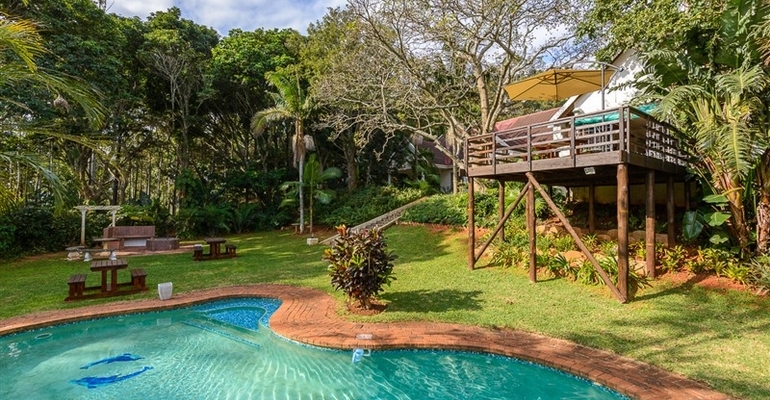 Zesty Guesthouse is situated in the scenic surroundings of Port Edward, with a choice of 7 units to meet every need, from business trips to holiday breaks. We offer you a selection of double en-suite rooms, as well as family units sleeping 5 for a fun filled getaway with loved ones. The deck and indoor braai area opens onto a tranquil private garden, with a second outdoor braai and swimming pool. Zesty Guesthouse is the ideal accommodation- where luxury meets nature, offering tranquillity and warm hospitality to all visitors. Take a drive to the beautiful 'Silver Beach' where the kids can enjoy the super tube and a refreshment from the ice-cream parlour, while you sip on one of Beach Bobby's famous cocktails. Another popular destination, the Wild Coast Sun Casino and Resort is less than a 10 minute drive away, along with many other unique and close by entertainment options. Starting From R700.00 per night.